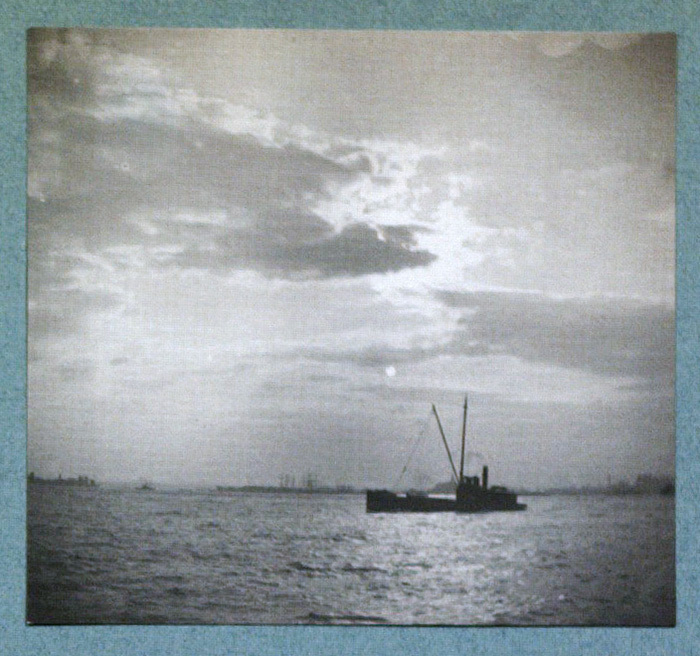 Alfred Stieglitz, The Glow of Night — New York, Photogravure: Multiple Color, 1897. 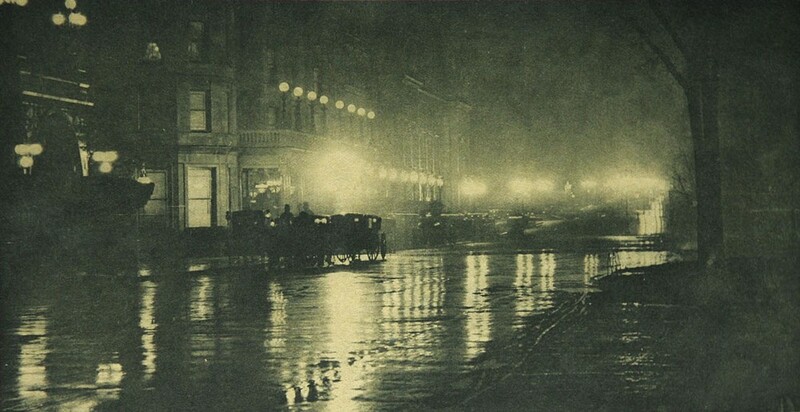 Photographed in 1897 Manhattan, this nighttime view shows the Savoy Hotel with a queue of carriages along a rain-slicked Fifth Ave. The nighttime “glow” effect in this print is achieved in the printing process. The dining room might have looked something like the Byron Company photo to the right. Included in the Camera Club's archives is a handsome invite to this early social gathering. The iconic Washington Arch in Washington Square was completed in 1895. The Camera Club's invite to this dinner prominently displays the arch with the Brevoott house framed through it. 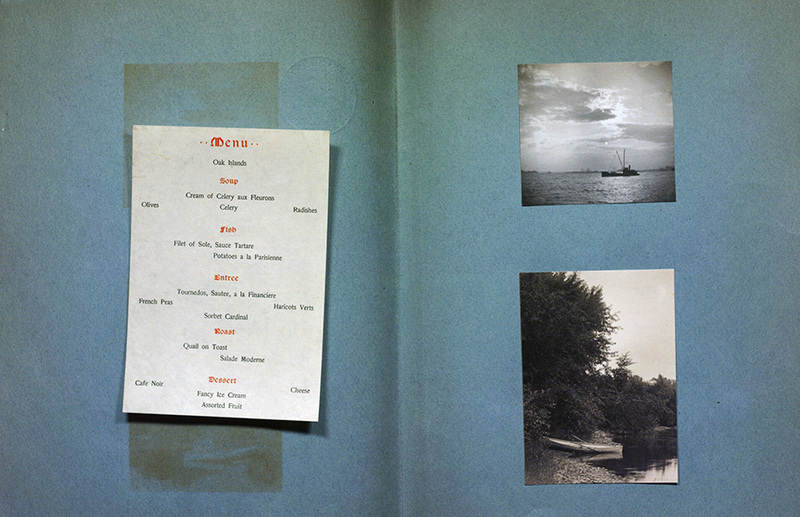 On the other side of the card is the following ten course menu of the club's first feast. The following year, on mild and rainy Saturday, December 4th 1897 the club’s first annual dinner was held in an upscale New York establishment, Muschenheim's Arena. The restaurant, known simply as The Arena, was located on 31 Street, East of Broadway. 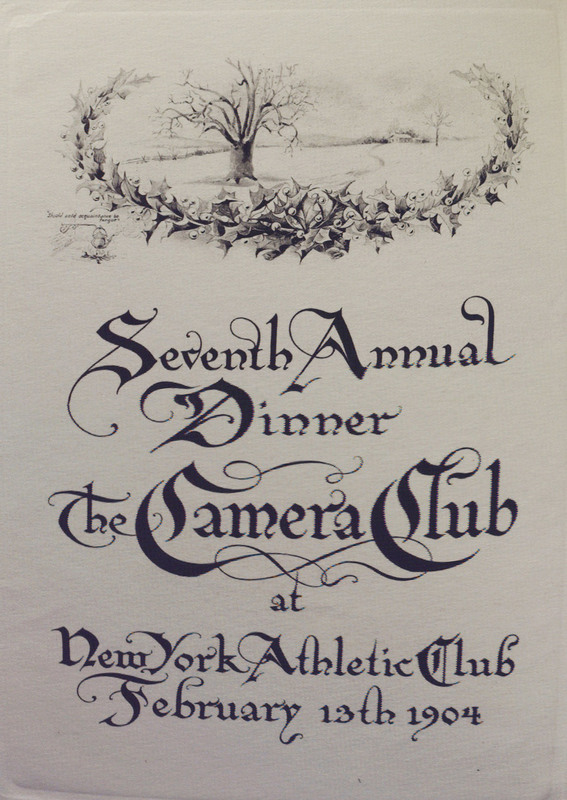 The last record in the Camera Club archives of a dinner was an entertainment gathering at the Carnegie Lyceum, later known as Carnegie Hall. This invite features a particularly nice rendering of the layout of the new location of the Camera Club at 121 West 68th Street in Manhattan's Upper West Side. It's worth pointing out that in 1908, Stieglitz wasn't involved as much with the Camera Club. 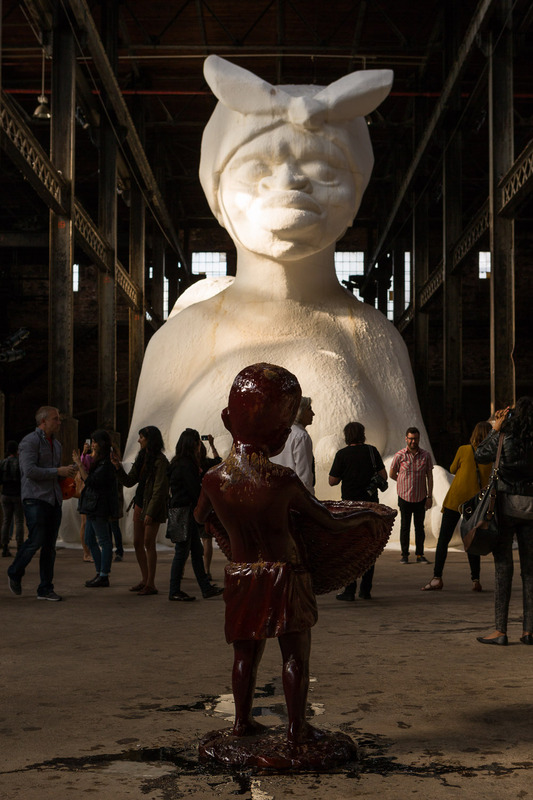 The entrance to Kara Walker on Kent Avenue with Domino Sugar Factory sitting beyond the gate. If you haven't made it out to the Domino Sugar factory, it's a good time to visit. 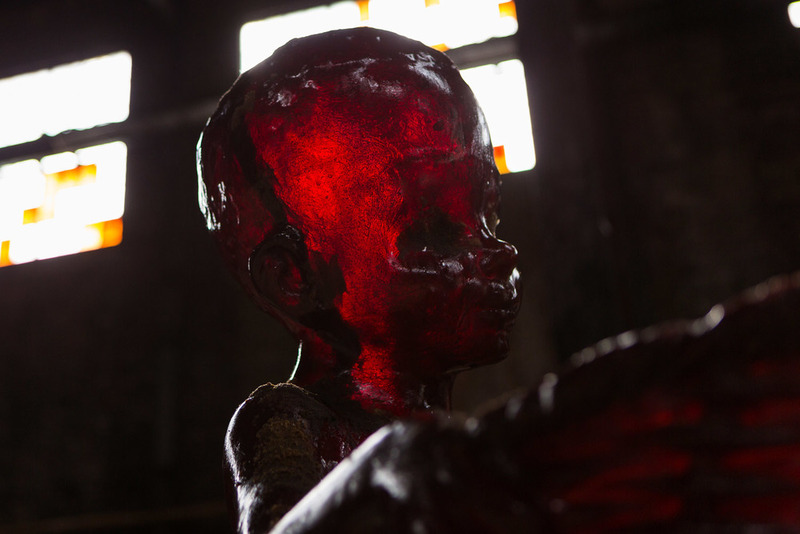 The artist Kara Walker has infused the factory with thought-provoking confectionary sculptures. I visited last weekend to see the installation and revisit the space. A powerful personification of the most beleaguered demographic in this country — the black woman — shows us where we all come from, innocent and unrefined. 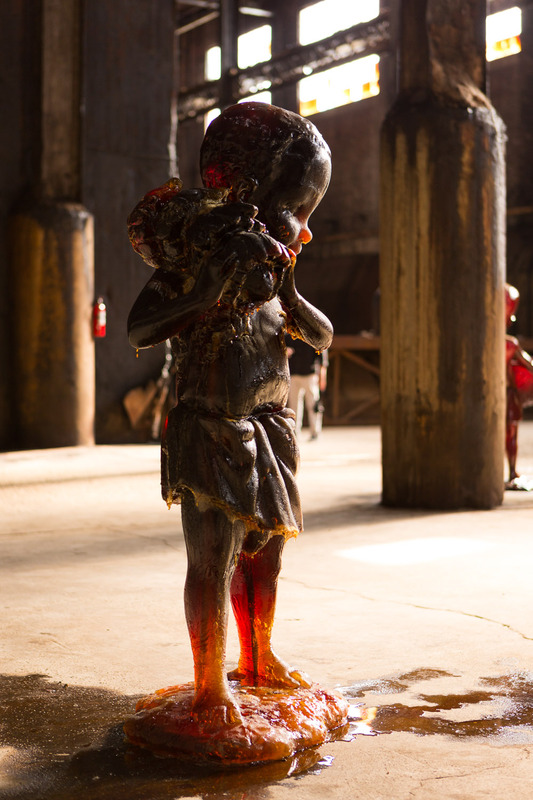 Walker's A Subtlety or The Marvelous Sugar Baby an Homage to the unpaid and overworked Artisans who have refined our Sweet tastes from the cane fields to the Kitchens of the New World on the Occasion of the demolition of the Domino Sugar Refining Plant — runs through July 6 at the former Domino Sugar factory: 317 Kent Avenue at South 1st Street, Williamsburg, Brooklyn. It is open Friday 4 – 8 pm, Saturdays and Sundays 12 – 6 pm. When a new year rolls around its a great opportunity to you look around to see what can be improved. With fresh eyes new things can be revealed. This January, I took a hard look at my website and decided something needed to change. I handcrafted my site in 2005. I'm not a html coder by trade but I hacked it together and it worked. Every few years I would tweak it—html to php one year, larger images the next but I never really changed the original design or altered the code to fit the changing technological landscape. These days with multiple devices, browsers and operating systems I decided to let the experts deal with the code and I upgraded to Squarespace. After a few weeks of designing, copy fitting and image editing the site is here. imaginary wars, black sun project and ten convenient stores. on the Domino Sugar Factory. —Image galleries now have index pages so you can see the whole project at once.